As the seasons start to change it’s a struggle to avoid getting infected with the gardening bug. You’re in good company if you’re counting down the days until you can dig around in your vegetable beds again. But do you have the tools you need for success? The right equipment can make or break a garden, and you don’t want to find out that you’ve come up short in the middle of the growing season. This list of forty genius gardening tools you never knew you needed should give you a starting point to ensure you’re set to go this summer. Do you struggle to keep good records of your gardening experience? Then it’s time to upgrade your system with this personal gardening reference book. Within the handbook are spaces for recording your planting ideas, plans and preferred growing strategies. You also get over 300 pages of tips and templates for making your next garden your best garden. If you’re looking to boost the benefits of your soil for your garden plants, consider investing in diatomaceous earth. This all-natural amendment contains the fossilized remains of diatoms, which is a type of freshwater algae. You can use the powder to keep insect pest populations in check and so much more, and it’s entirely safe for use around children and pets. Don’t let a sore back keep you from working in your garden this year. This versatile stool from Best Choice has a solid steel frame that can support up to 225 pounds. The included foam padded cushion reduces pressure on your knees so that you can kneel down and work, and its lightweight design makes it simple to store when you complete your garden projects. You’ll find that it boosts your endurance for gardening activities. Every home gardener needs a space where they can get messy, and this potting bench fits the bill. Its sold fir wood construction is designed for durability, and the natural wood finish means you can paint or stain it as desired. The bench comes with a side drawer for easy access to your potting tools, and it includes plenty of workspace for tackling planting projects. If you’re looking for a designated gardening spot in a space-limited yard, you can’t go wrong with a three-tiered gardening bed. This 4×4 foot planter is made from thick cedar that should last you for seasons to come, and the stair-step design provides space for various sized plants on every level. The easy assembly can be completed without any outside tools. Gathering all the gardening tools you’ll need as a beginner isn’t easy, but this seven-piece set is a smart way to get started. This durable steel stool comes with a broad trowel, narrow trowel, hand fork, hand cultivator and poker, as well as a detachable storage bag with pockets to keep things convenient when you need them. Looking to start your plants in a space smaller than a closet? Consider this mini indoor/outdoor greenhouse that can be set up to include two to four shelves. It’s made with thick PVC plastic and includes double zippers for easy access. The design can hold up to forty pounds, so you won’t have to worry about the security of your plants. For those who want to extend their growing season without breaking the bank, this affordably-priced greenhouse is a smart option. You gain eight shelves of growing space, and the clear PVC cover helps you control the interior temperature while keeping seedlings safe from frost and pests. No outside tools are necessary to assemble the greenhouse, and it comes with ropes and anchors so you can secure it in place through wind and storms. If you’re looking for a more substantial home greenhouse option, consider this kit from Outsunny. The powder-coated aluminum frame comes in multiple sizes, and it fits with the included UV-resistant, polycarbonate sheets so you can keep your plants safe from the elements. A rooftop vent means you can control the internal temperature, and the included sliding door gives you easy access to your plants. If you struggle with limited mobility that makes it hard to manage your garden space, consider working from the Kotulas rolling garden seat instead. This heavy duty cart can hold up to 400 pounds and comes with a padded seat and 24 inch T-handle turnbar for easy navigation. You can lean against the back rail for extra support, and the included wire basket contains space for all your hand tools. Inspire a love for digging in the dirt in your children early with this cute yet functional toolset for tiny gardeners. This 14-piece set comes with flower pots, a water pail, spray bottle, and an assortment of gardening tools for realistic play. Each piece fits inside the included wagon for easy storage. Keep your gardening activities smooth and streamlined with this spacious garden cart that can hold up to five cubic feet of material. The dual wheel design makes it possible to take the cart over rough terrain, and the padded handlebars double as a stand when you’re keeping it in place. Once you start using this tool in your yard, you won’t imagine how you gardened before. Do you find yourself stymied when it comes to solving problems in the garden? Gardening Magic may have the answers you’re looking for. This detailed book is full of home hacks that incorporate products you probably already have in your pantry. You’ll learn how to feed your plants with pancake syrup, the ways you can boost a compost pile with Coca Cola, how to control aphids with hot sauce, and a lot more. 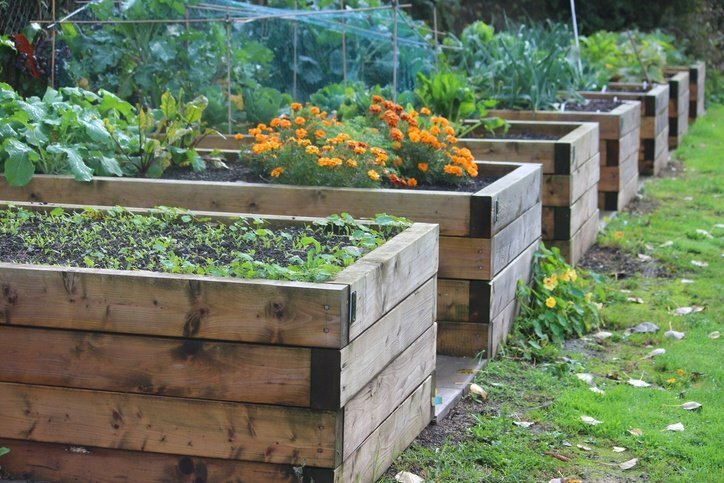 A mail order garden might not be possible, but purchasing this raised bed means the hardest prep work is already behind you. This 4×4 foot bed kit can be assembled in an hour, and the stackable design means it can accommodate even deep-rooted plants. Best of all, the structure absorbs and retains heat so that your plants get what they need for proper growth so that you get your best harvest yet. It pays to invest in the right tools the first time around as a gardener, and this hand rake is no exception. Designed to simplify the process of prepping beds and removing weeds and grass clippings, this rake is made with high-quality steel and will last you for seasons to come. This versatile gardening tool is almost limitless in its uses. Add it to your garden tools, and you will soon rely on it for weeding, planting, and harvesting root crops, thanks to its sharp blades and concave surface. It comes with a premium nylon sheath so you can keep the blade protected for seasons to come. Every serious gardener knows how valuable jute twine can be, which is why it pays to buy some now, so you have it on hand for the growing season. Whether you use it to stake up your tomatoes or mend matches in your cucumber netting, there’s a good chance you’ll find more use for it than you expect. Keep your lawn looking its best without resorting to chemical amendments by keeping it aerated with this rolling gardening tool. Run it over your sod or soil, and it will perforate your lawn to improve air exchange, improve water and fertilizer intake, and reduce the risk of puddling. Simple and efficient to use, this tool is made from sturdy steel to last for years to come. Stop allowing sore knees to prevent you from getting your workout in by using the BackJoy kneeler for all your outdoor work. This kneeler relieves pressure on your joints so that you don’t feel pain when you kneel, and they make even uneven surfaces simple to work on. You can also bring the Kneeler indoors for a more comfortable kneeling surface for household chores. Don’t let deep-set tree roots cramp your gardening style this year; the Root Assassin can remove them in half the time of standard tools. The alternating beveled teeth tear in opposite directions, meaning that you can cut away at roots with every movement. The sturdy handle gives you a secure grip so you can rely on body weight (not your back) to get the roots under control. Forged through traditional methods, this Korean-style Ho-Mi tool is designed to make hand cultivation easier than ever. The innovative yet ergonomic shape makes it practical for digging up roots and scraping away weeds while protecting your plants from harm. It takes some time to master its technique, but you’ll be glad you did. If you’re looking for a simple way to prep your soil for planting, an Earthwise tiller is a method to consider. Designed for medium to large garden beds, this eco-friendly alternative to gas-powered equipment also works well as a weed control tool. Once fully charged, all you need to do is press the start button to get it running. Looking for a convenient divider between your plants or an easy to install trellis for climbing vines? Consider the carbonized willow flex trellis. Not only will it live your landscape a unique look, but you can also use it for indoor décor projects. To grow healthy plants, you need to give them a strong foundation. The Veroyi pH meter makes it easy to see precisely what you need to change about your garden soil to meet your growth goals. This 3-in-1 device works to monitor your soil acidity, moisture levels, and even daily sunlight source level. Simple as it sounds, vinegar is one of the most useful compounds you can give your plants. 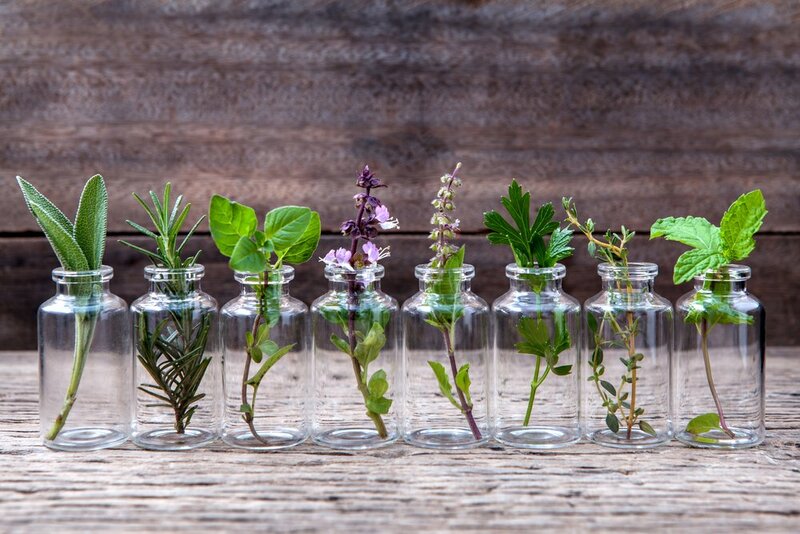 As an all-natural alternative to conventional pesticides and herbicides, you can use vinegar in a variety of ways to improve your home and garden. Learn more here! Don’t waste your time cultivating plants that aren’t set up to thrive. Consider infusing them with this natural nutritional supplement that gives your plants a highly beneficial dose of nitrogen, phosphorus and potassium as well as trace amounts of calcium, magnesium, and iron for maximum results. Give your vining vegetables the support they need with this long-lasting nylon trellis. Heavy duty yet subtle, this trellis will hold up to even your heavy producers. You’ll get sixty feet with each order, which should be enough space for plenty of cucumbers, beans, peas, and your favorite ornamentals. Make harvesting hassle-free this growing season with a collapsible market basket. Made of aluminum and durable fabric, you can take this basket into the garden with you to collect fresh produce effortlessly. The soft foam handle gives you a comfortable grip so you don’t need to worry about the basket getting too heavy as you collect dinner. Pests might be the bane of the gardener’s existence, but there are steps you can take to keep them under control without resorting to potentially dangerous products. Consider this insecticidal soap, which is safe for organic gardening and can be used up to the day of harvest without risk. Just spray it on the plants at risk, and the fatty acid salts within the specially selected soaps will give you a sufficient level of pest control. Nothing is worse than losing a crop to blight or downy mildew, so fight the fungus with a ready to use copper fungicide. This product won’t burn plants but instead relies on a naturally occurring fatty acid to ruin the habitat space for damaging fungi. It’s a terrible feeling to spend time laying down a gardening tarp, only to have it blow out of place in the wind. Keep things secured with landscape staples. You can use them for stapling down landscape fabric, weed barriers, chicken wire, raised bed edges and much more quickly. Looking to get great traction as you work in the soil while protecting your nails? Consider these claw-like gloves! Not only do they make it easier to hand dig in your garden, but they protect your fingernails from damage and have a waterproof coating that keeps your hands fresh even as you work in the dirt. When it comes to weed control in the garden, you have a few options. You could spend hours on your hands and knees each week keeping the situation under control or spray a potentially toxic herbicide to cut them down before they become a threat. A better choice? Put down weed barrier fabric to choke them out as soon as they sprout. This lets you keep your garden space fresh and weed-free until you’re ready to plant for easier maintenance. If you struggle to plant at the right depth, a dibblet will save you some struggle. With an ergonomic handle that keeps your wrist relaxed, this durable tool contains a measurement scale to show you precisely how deep you need to go for every plant variety. Keeping the garden toolshed organized is no small task, but this broom and hoe holder will help you declutter. You can hang it over a doorframe for easy access to keep your equipment off the ground. 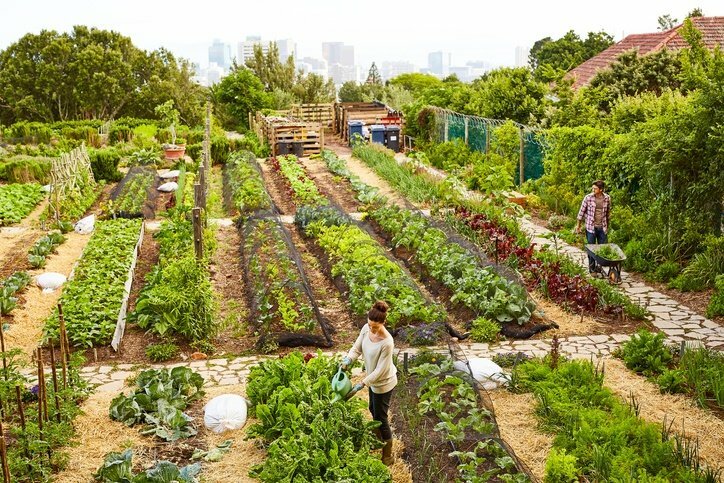 When everything has a place, you can access it faster for more efficient gardening. Keep your feet dry and comfortable this gardening year with a pair of sloggers. These shoes are designed specifically for women and come with heavy duty tread for excellent traction in the muddiest conditions. You can hose them off when dirty to extend their lifespan. If you’re interested in a new way to grow root vegetables, consider the Kcool potato grow bags. This durable, environmentally-friendly fabric is designed for planting potatoes and other root vegetables, and you can peel back the opening to observe the growth status at any time. Once your spuds have reached your preferred size, just open the flap to pour out the soil and your harvest. Make the trip from garden row to kitchen table one step easier with this garden colander. You can harvest your greens into the container and then wash them directly in it for one step prep. Any loose dirt shakes out naturally so you aren’t left with a dirty harvest bag at the end. Best of all, the colander is dishwasher safe. Looking for a self-contained gardening system for a few front porch plants? The EarthBox system gives you everything you need to get started, and the plastic components are made from durable, UV-stabilized materials that should last for growing seasons to come. Plus, it’s self-watering! You can fill it with 2.0 cubic feet of growing medium for great results. Do you feel like dandelions are the bane of your gardening existence? While these plants are both tasty and nutritious, it stands to reason you don’t want them overtaking your yard. The Fiskars 4-Claw weeder will permanently remove dandelions, thistles, and other fast-spreading plants without spraying or hurting your knees to yank them off. The long length and offset handle creates an ergonomic design that lets you remove many weeds with little effort. Breaking up big soil clods isn’t always easy, especially at the start of the growing season. The Yard Bulter tiller simplifies the process by giving you an ergonomic grip so you can use your body weight to loosen up the soil. This versatile tool loosens, aerates and tills your beds so you don’t need to pull out gas-guzzling equipment to prep your beds before planting. Don’t let the growing season catch you unprepared this year. Invest in the right tools, and you’re sure to bring home your best crop yet.